Level 33 facilitated this review and giveaway and provided me with a copy of the movie #Unleashed. All opinions are my own. This post contains affiliate links. Imagine if your pets became human. And, then imagine your pets competing for your affection as men with animal instincts. That's Unleashed the movie. Full disclosure: I wasn't all that excited to watch this movie. But, this is hands down the funniest movie I've seen in a long time. I mean laugh out loud funny. As funny as Truth About Cats and Dogs funny. Even the husband and kids watched it and laughed along with me. Emma (Kate Micucci), a brilliant but awkward app designer, moves to San Francisco after a massive betrayal by her boyfriend with only her beloved pets, an adorable cat (Steve Howey) and an energetic mutt (Justin Chatwin), in tow. One night, drawn by the light of a Supermoon, Emma’s pets escape into the night and are transformed into full-grown men, forcing Emma to reconsider her outlook on dating and hilariously work out her trust issues. 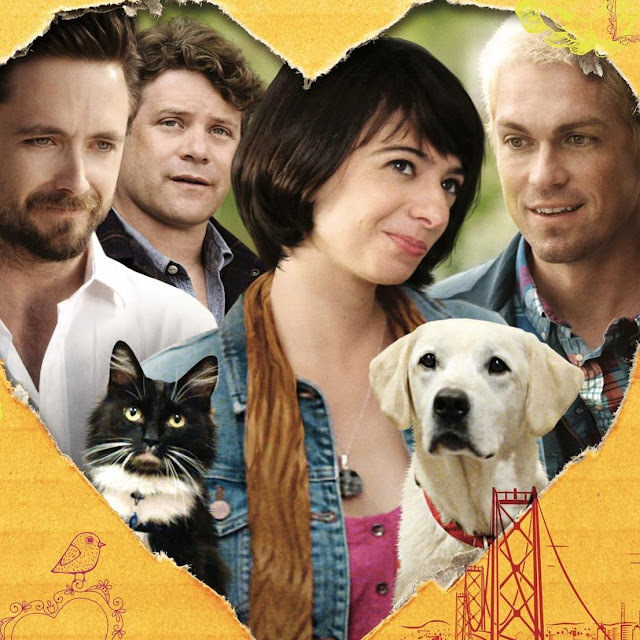 Kate Micucci is wonderful as the heartbroken app designer. She makes this unusual plot believable and so very funny. When the stars align and the right wish is made, magic happens. And, these male specimens are pretty awesome as pets transformed. The mousey Sean Astin is the love sick handyman who you can't help but hope that he will get the girl. But, I was also a little sad in the end. It's the perfect romantic comedy. I can't rave about this movie enough! You can win a copy of Unleashed to watch with your furry friends or significant others. Or both if you are really lucky.